In relationships, time is our most precious, non-renewable resource. It takes large doses of time to develop the rich, lasting, trustful relationships that we all desire, even if we’re afraid to admit it. It’s much easier to settle for surface level relationships through social media because it fits our busy lifestyles. A person can have hundreds or thousands of “friends” or “followers”, yet have very few, if any, deep relationships with high levels of trust. There are no shortcuts to developing high-trust relationships. You can’t download a trust app to your smart phone to get it, order it from the drive-thru lane of your local fast food joint, or buy it online from Amazon or eBay—it takes time. Second after second, minute after minute, hour after hour. Time…pure and simple. Quality Can’t Replace Quantity – Our “always on, always connected” digital culture has elevated busyness to higher (yet false) levels of importance. We wear busyness on our sleeves like a badge of honor, believing it signifies our importance at work or validates our out of control, misplaced priorities in life. We’ve bought into the lie that “quality” time is more important than the overall quantity of time we spend with others. Quality time is great, I highly recommend it. But if I had to choose between spending 15 minutes of quality time a week with those most important to me versus spending 2 hours, I’d choose quantity every time. It’s in those unstructured, relaxed periods of time with people that quality time emerges. Don’t fool yourself by thinking you can develop deep, trusting relationships by choosing quality time over quantity. Your Use of Time Reveals Your Priorities & Values – I have a surefire way to help you discover what your top values and priorities are in your life—keep a time journal of your activities for a week or two. You may not like what it tells you but at least you’ll know the truth about your priorities. How many hours a week do you spend mindlessly scrolling through your Facebook news feed, surfing the web, playing video games, or watching TV? None of those things are bad in and of themselves, but when they come at the expense of investing time in what we say we value (our children, health and fitness, friends, faith, etc. ), then they have become activities that distract us from fulfilling our higher purpose. You Reap What You Sow – The universal law of the harvest teaches us that we reap what we sow. If we invest the time and effort in cultivating deep relationships, we usually achieve long-lasting, high trust relationships. If we only invest in surface level, casual relationships, that will be what we usually achieve. It’s important to remember there may be longer periods between the sowing and the reaping than what we would expect or prefer. Many citrus trees start producing fruit when they are 2-4 years old, while pear or apricot trees may take 5-7 years before they mature. Not all of your relationships will develop at the same rate. Be patient, keep sowing, watering, and tending. The fruit will come. You Can’t Get it Back, So Choose Wisely – Most of us don’t give much thought to ever running out of time, mainly because we don’t like to think about death and the end of our lives. Whether it has to do with spending time with our children, investing in our education, or pursuing our career goals, we often devalue time because we feel there will always be more of it available tomorrow. Someday tomorrow won’t come. Each of us has a finite number of days on this earth, and each day that goes by is one less day we have to invest in those we love. The best investment we can make in life is the investment of time in other people. All the stuff we accumulate in life—money, degrees, power, fame, possessions—disappear when we pass away; we can’t take any of it with us. The one thing that will remain after we’re gone is the investment we placed in other people—the love, encouragement, concern, belief, and confidence that those people will carry with them for the rest of their lives and hopefully pass on to others as well. We would do well to heed the words of Psalm 90:12 that says “Teach us to number our days, that we may gain a heart of wisdom.” You can’t get time back so use it wisely. Time is essential to developing long-lasting, high-trust relationships. We all have the same amount of time in a day. The question is, how will we use it? Thank you Carl. I appreciate the positive feedback. Thank you Jon. How we spend our time is indeed one of the big questions of our existence, isn’t it? Thanks for taking the time to share your thoughts. Thanks for sharing your thoughts. I just wonder if there is such thing as quantity time if it comes to building deep and trustful relationships. 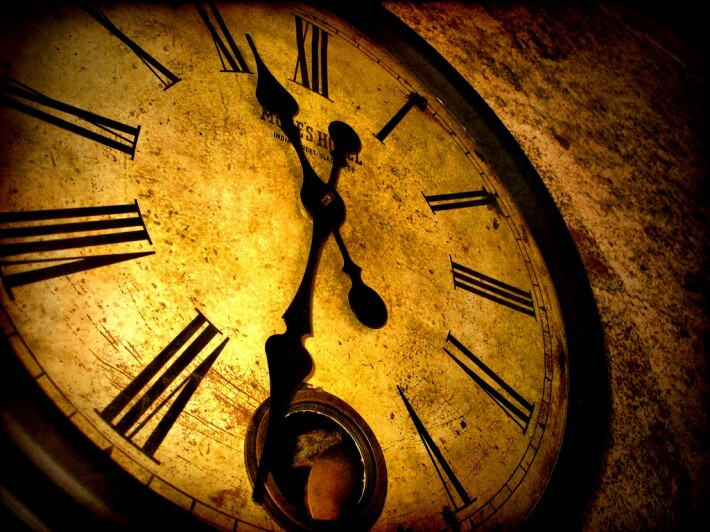 Is the time we use for this purpose – no matter how much it is – not always quality time? Excellent thoughts Brigitte. If you truly value the relationship, then I would have to say that all the time you spend investing in it is quality time. Time is the ultimate priority check. I wholeheartedly agree with your second principle. Thanks for the article. Hi David. Thanks for taking the time to add your insights.